Road closures, temporary parking suspensions and Resident Parking Schemes mean there is no parking in South Bristol or Long Ashton. The fastest way to and from the stadium is Event Special Shuttle Bus services which include free parking. To download a map of the stadium and services please click here. The fastest way to and from the concerts is by using our event special shuttle bus services. Beat the traffic and park for free (free parking not included on Route 4 – Bristol Temple Meads). Pre-event buses will operate from 3pm – 7:15pm. Return buses will depart for an hour after the event. Please note that journey times are dependent on traffic and some acts may start before the buses arrive at the stadium. To find out more or to book, please click below. Ashton Gate is well connected to Bristol and surrounding areas by an extensive public bus network. The easiest way to plan your route is the TravelWest Jouney Planner. Many services across Bristol are operated by First Bus – you can find more information on their routes, timetables and fares here. Please note that these public bus services will operate pre and post event. 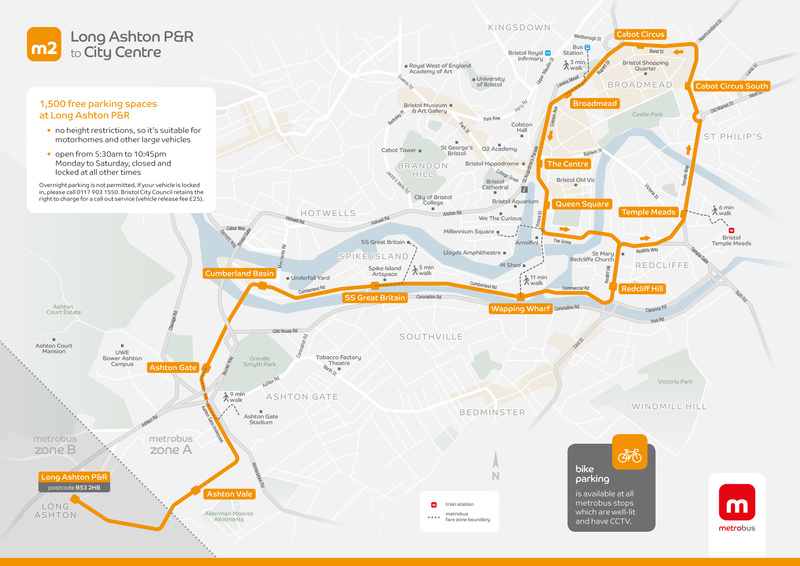 Click on the image above to see the full network of the Metrobus route from Long Ashton Park & Ride. Click on the image above to see full network of First Bus map. Click on the image above to be taken to the travel west journey planner. There are currently no organised coaches currently available for the Muse concert. Ashton Road will be closed from 1pm-2am on each day of each concert. Winterstoke Road will be closed from 9pm-12am on each day of each concert. If you wish to enquire about parking available for blue badge holders please email katie.griffin@ashtongate.co.uk to check availability and prices. If you have arranged a private mini-bus or shared transport to the stadium please email katie.griffin@ashtongate.co.uk and we can check availability and prices. There are no facilities in or around the stadium for motorcycle/ moped parking. There will be a concert special shuttle bus that stops here, service four. This service will also stop in Bristol City Centre following the event. It is a 40 minute walk to Ashton Gate Stadium. It is a 15 minute walk to Ashton Gate Stadium. Trains available from this station cover much of Bristol, the South West and Somerset. Train tickets to Bristol Parkway are valid through to Bristol Temple Meads. The quickest way is to change here for services to Temple Meads and catch the Service Four shuttle bus to the stadium. Alternatively you can catch the Service Three Shuttle Bus directly from Parkway. There will be a concert special shuttle bus that stops here, service three. As we're so close to central Bristol there's no excuse not to get into the great outdoors and take in some of the sights of the city on your way to Ashton Gate Stadium. Ashton Gate Stadium is easily accessed by bike with a number of dedicated cycle paths in Bristol. We also have a limited number of bike racks at the stadium as well as a handy bike pump in the Winterstoke Road car park, directly outside the South Stand. Bikes are able to be picked up and ridden to Ashton Gate Stadium thanks to the new YoBike service. Ashton Gate Stadium is located just seven miles away from Bristol International Airport, a 15 minute drive and is connected by the A1 bus route which departs from the Ashton Gate MetroBus stop. This service operates every 20 minutes and serves Bristol International Airport - Bristol City Centre. Bristol International Airport also has a dedicated taxi service, more information can be found here.